Are you having a bouncy ride? Enjoy a smoother and steady driving experience again by coming to Wayne's Auto Repair for auto suspension repair in Westerville, OH. Most people pay little attention to their car's shocks and struts, much less know how they work. However, it is not hard to recognize the signs of suspension system problems. You would have a very bumpy and jarring ride without car shocks and struts. Stay steady on the highway by depending on us for shock and strut replacement. We install shocks, struts, and suspension parts for all makes and models—both foreign and domestic. As a friendly and professional team of mechanics, you can always depend on us for fast and affordable services. At our auto repair shop, we repair and install these vital components to ensure your ride is always steady. Whether you need new car shocks and struts, vehicle sway bars, CV and ball joints, or coil springs, you can depend on our team to install the parts you need. Don't get shocked with high prices when you need new shocks or struts. Our team delivers quality repairs and affordable prices that are unmatched in our area. 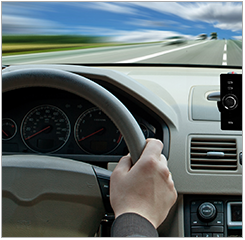 Contact us for a repair quote if you suspect your car has suspension or power steering problems. We serve vehicle owners from Westerville, Columbus, Worthington, Gahanna, and New Albany, Ohio, as well as the surrounding areas.